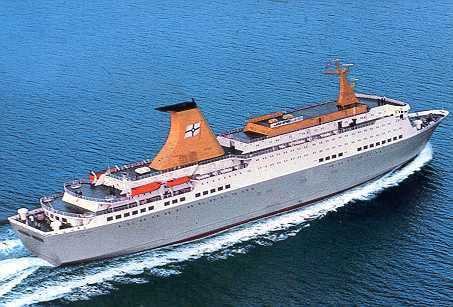 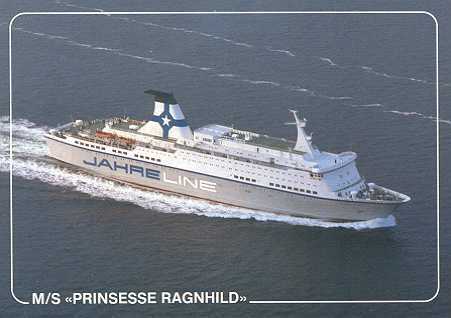 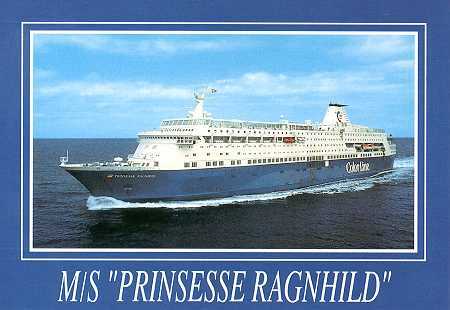 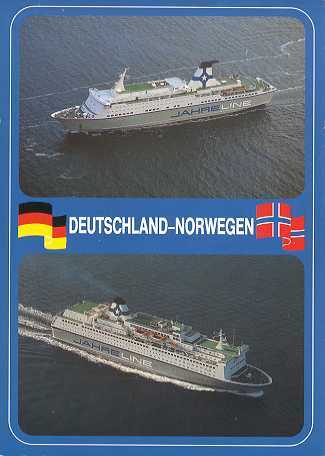 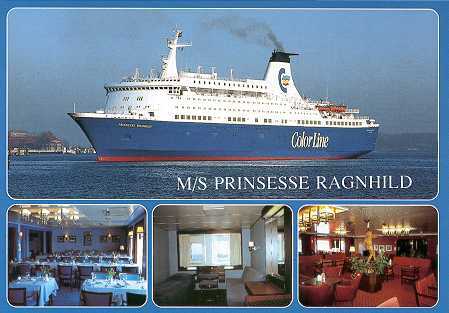 Prinsesse Ragnhild was built in Kiel for the Oslo-Kiel service of Norwegian company Jahre Line. 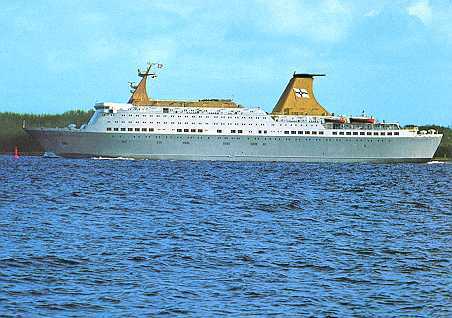 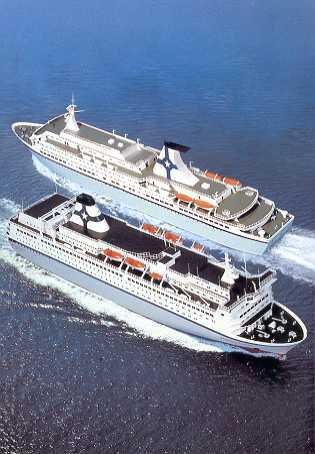 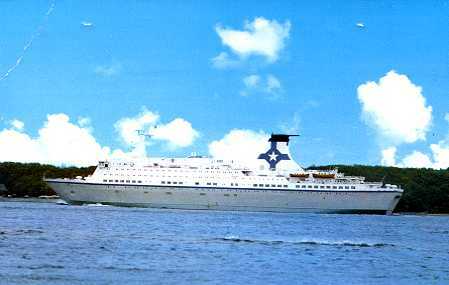 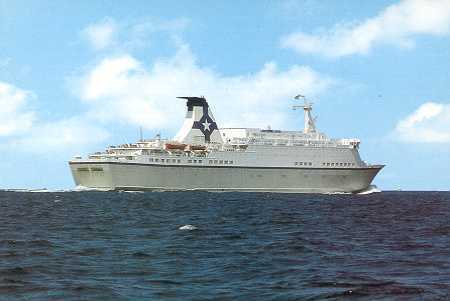 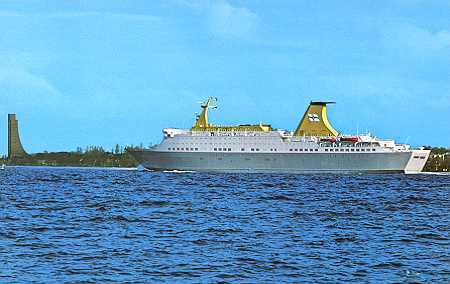 She was completed in 1981 at 15000grt in size, 896 berths. 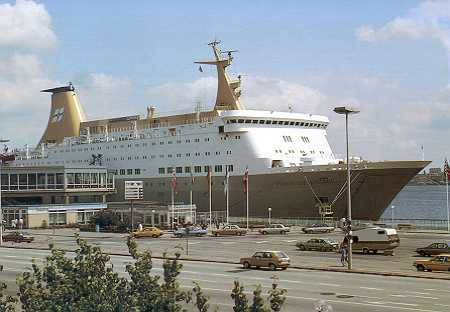 She later had additional cabins added to the top deck, increasing to 16000grt and 1006 berths. 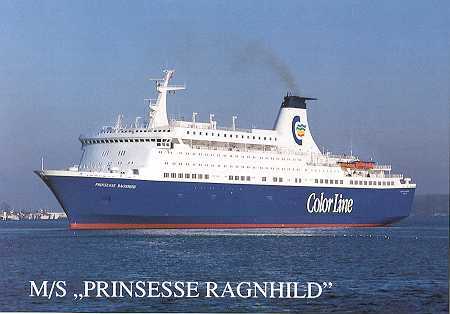 The company was relaunched as Color Line, with a new livery, in 1991. 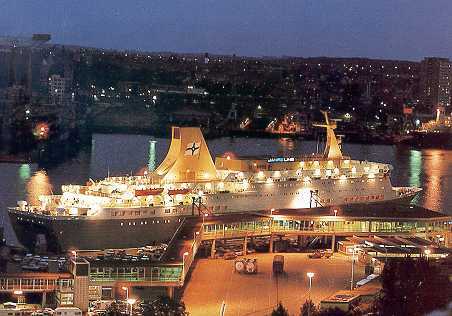 In 1992 she was radically rebuilt with a new centre section and extra decks, becoming 38500grt with 1876 berths, and was barely recognisable as the earlier ship. 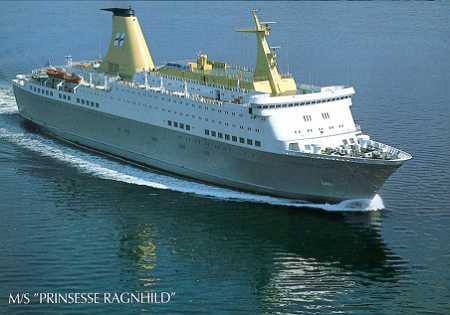 On 7th July 1999 she suffered an engine room fire on passage Kiel-Oslo. 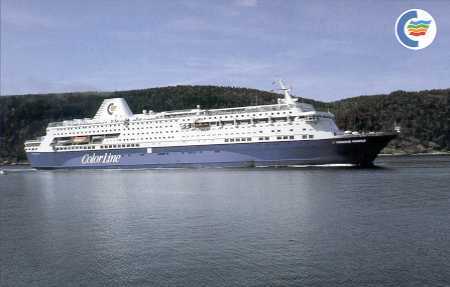 All passengers were successfully evacuated, although one died later from a heart attack. 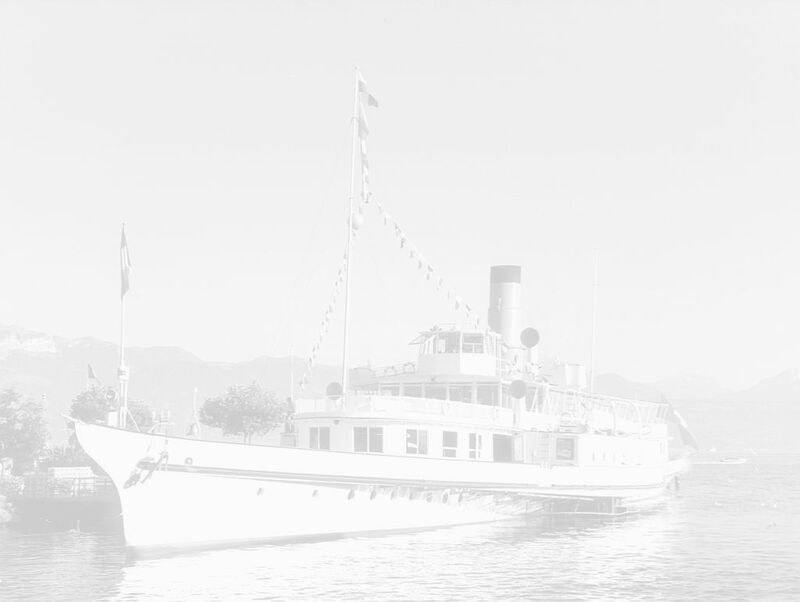 The crew remained on board, and the fire was extinguished. 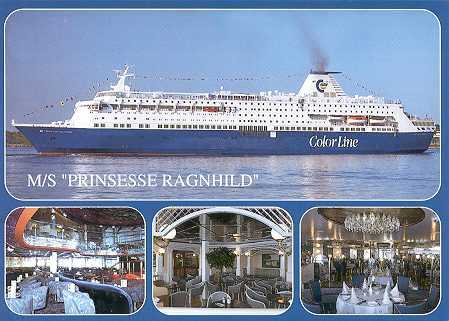 Mielck card 7834 of Prinsesse Ragnhild, at Kiel. 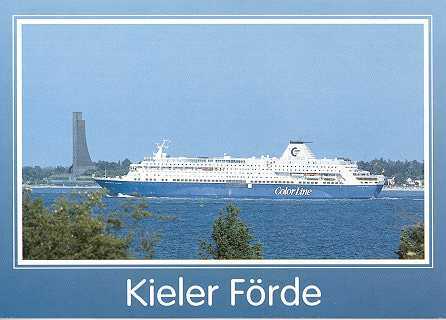 Mielck card 7545 of Prinsesse Ragnhild, in the Kiel Fjord, passing the Mariner's Monument at Laboe. 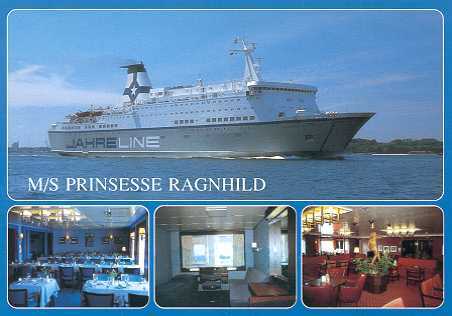 Mielck card 7797 of Prinsesse Ragnhild, at Kiel. 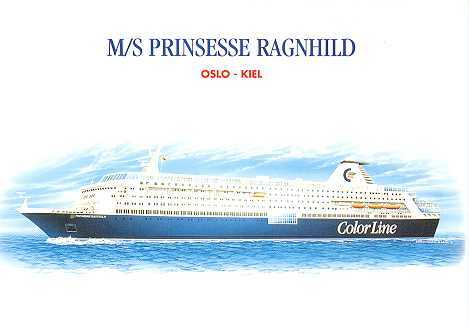 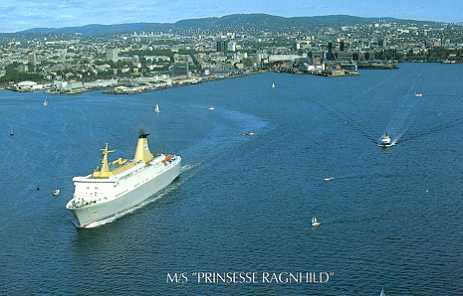 An official Color Line painting of Prinsesse Ragnhild, showing proposed rebuild. 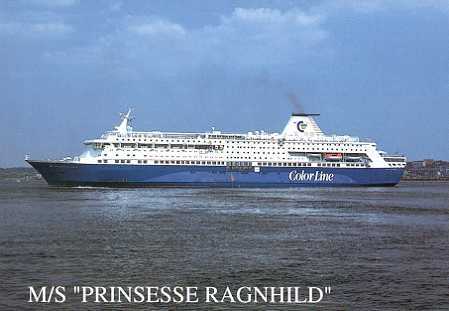 A UP card 2300/207 of Prinsesse Ragnhild, as rebuilt, passing Laboe in the Kiel Fjord.